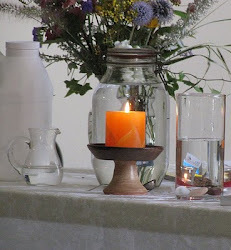 UU A Way Of Life: Are you sure you have worth and dignity? Are you sure you have worth and dignity? A benefit of traveling on the path of the spirit instead of the path of the ego is that one comes to understand who one is. Unitarian Universalists covenant together to affirm and promote the inherent worth and dignity of every person, but are often confused about what it is about a person that provides this worth and dignity. If a person is asked, "What makes you tick?" most people immediately become defensive and begin to stammer. The ego is being attacked. The person questioned is confused, anxious, and maybe even embarrassed that they are having difficulty answering the question. If you don't know what makes you tick, how can you say with any confidence that you have worth and dignity? There comes a point on the path of the spirit, what we have been calling "milestones," where the traveler becomes defenselessness. Having come to the truth of who one is, an unconditionally loved creation of God, one realizes that there is nothing to defend, defenses are not only not needed but irrelevant. 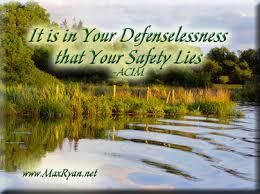 Defenses are given up as the person is imbued with peace, security, comfort, and joy. Having become one with God how could defenses have any meaning? 12 When he was accused by the chief priests and the elders, he gave no answer. 13 Then Pilate asked him, “Don’t you hear the testimony they are bringing against you?” 14 But Jesus made no reply, not even to a single charge—to the great amazement of the governor." The simple response to accusations, blaming, attacks is "Whatever." "You have said it, I have no response." "You attack me, but there is nothing to defend. It is of no concern to me." The person being attacked is no longer walking on the path of the ego. 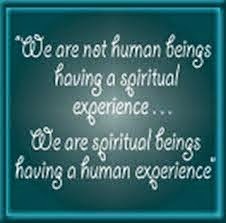 (S)he is traveling on the path of the spirit. (S)he is in this world but no longer of this world.